HOUSTON -- Lionel Messi was too much for the United States to contain. The five-time world player of the year set up Ezequiel Lavezzi's opening goal in the third minute, then scored on a free kick to break Argentina's career scoring record and assisted on the final goal in a 4-0 rout of the U.S. on Tuesday night that put the La Albiceleste into the Copa America final. 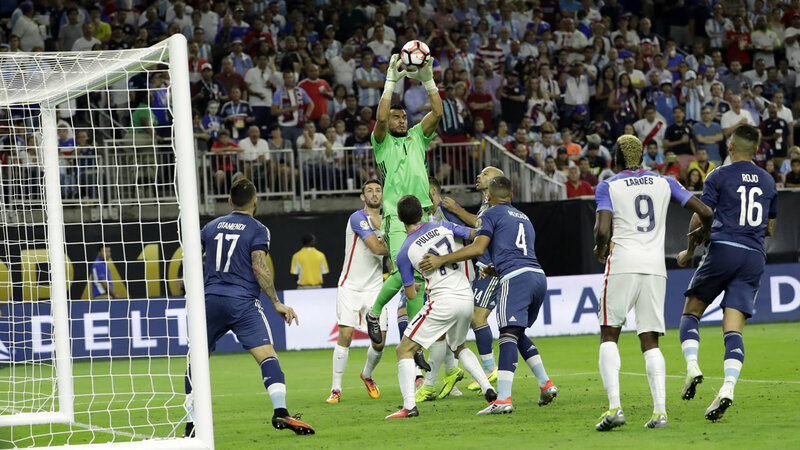 After Messi doubled the lead in the 32nd minute with his 55th international goal, his tournament-leading fifth, Gonzalo Higuain quickly ended U.S. comeback hopes when he put the rebound of his initial shot past goalkeeper Brad Guzan in the 50th. Higuain scored off a Messi pass in the 86th. Argentina will seek its first major title since the 1993 Copa - and its first since Messi's debut in 2005 - when it plays Chile or Colombia on Sunday in East Rutherford, New Jersey.